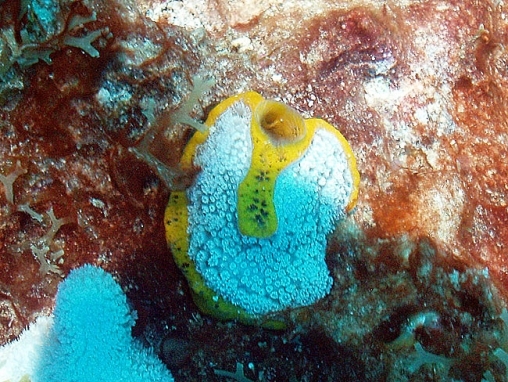 A yellow encrusting sponge, very commonly seen underneath leafy corals. The surface has a ’breadcrumb’ texture, with some relatively very large exhalent pores. Most of the sponge body lies within the limestone of the coral colony into which it has burrowed and colonised.